Touching, Tasting, Hearing, Seeing and Smelling. Sensory Experiences in the Feasts of St Thomas Aquinas is a joint research and artistic project with a strong multidisciplinary approach. A culture historian, musicologist and Latin philologist investigate medieval lyrics and notations of Saint Thomas Aquinas’s feasts and analyze the perception of the Saint through the spatial, musical and linguistic emphasis in his festivities. The combining the academic research, medieval studies and performance art is at the core of the project. See a video! 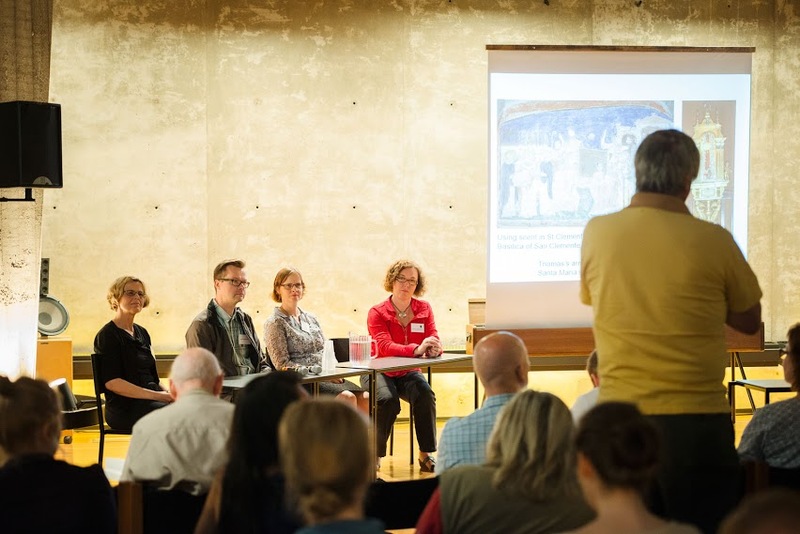 The workshop Space and Sanctity: Sensory Experience of Devotion (1000-1500) at the Centre d’Études Supérieures de Civilisation Médiévale, in Poitiers on 20 May 2016. The report and photogallery of the workshop. In the ‘Chanting Laboratory’, the project seeks to achieve a grasp of a possible sensorial experience of medieval people. The Laboratory includes an experimental and artistic part, in which the audience, ‘ the Everyman’, can experience bodily, by chanting, hearing, smelling and tasting, the memory of the saint in the guidance of the Vox Silentii duo and the investigators of the project. The project produces the concert and CD Felix Thomas, lumen mundi in collaboration with Vox silentii. Vox Silentii uses early medieval scales, called modes, whose tuning is natural. This tuning system, differing from the contemporary equal tempered tuning, is based on natural harmonic series. The singing technique employed by the ensemble allows the overtones to be heard and distinguished: The listener may perceive the overtones as faint flute-like sounds among the melody tones. The members of the project are Marika Räsänen, the Primary Investigator, Associate Investigators Hilkka-Liisa Vuori, Seppo Heikkinen and Antti Lampinen, and Johanna Korhonen, Singer of the Gregorian chants. Marika Räsänen (PhD in Cultural History) is a medievalist who has studied the cult of saints and in particular the relic cult of Saint Thomas Aquinas in southern Italy. Her research interests include the early Dominican reforms and the Reformation, the devotional culture of the laity and the cult of relics in late medieval and Early Modern Europe. Hilkka-Liisa Vuori (Doctor of Music) is a teacher, singer and researcher of medieval music. She teaches Gregorian chant in Sibelius-Academy, Helsinki, and in Kallio congregation, Helsinki. She is a singer in duo Vox Silentii. She is specialised on medieval Bridgettine chants, her most recent publication being a chant book for choirs, Cantus sororum. Currently she is transcribing, studying and singing the chants from the two officiums of Thomas Aquinas. Seppo Heikkinen (PhD in Latin language) is specialized in the medieval Latin poetry. Johanna Korhonen is a singer in duo Vox Silentii and a professional journalist specialized on societal issues. 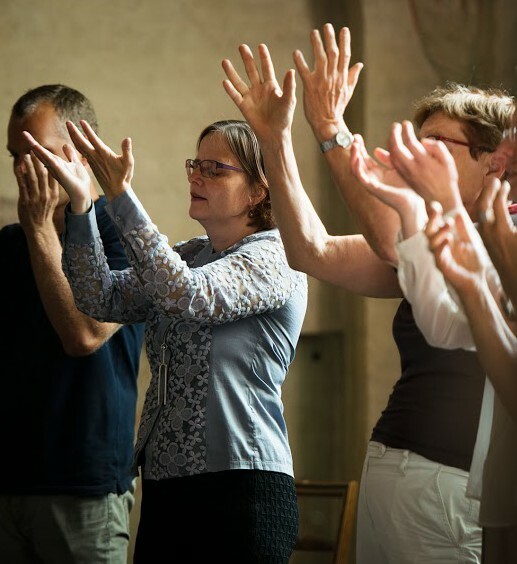 Established in 1992, Vox Silentii teaches and studies medieval chants. Its repertoire is liturgical music, and therefore a prayer in voice and song. The silence included in the ensemble’s name (Vox Silentii – The sound of silence) refers not only to silence as starting point for all music but to the silence of the heart – a space for listening, a prayer. Vox Silentii has recorded 11 CDs since 1996.